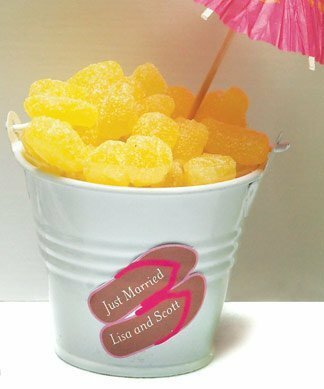 SHARE Add these fun stickers to your wedding decorations or favors for a festive beach flair. 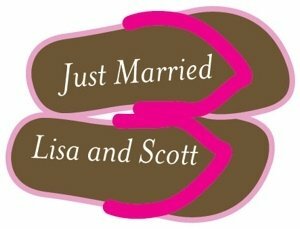 Shaped like a pair of brown and pink flip flop sandals, these stickers are customized with two lines of text. A fun idea is to add them to pail centerpieces or favors as shown in the photo. You must order at least 36 stickers. Product dimensions - 1 1/2 x 1" H.